Should You Hire A Lawn Care Service? - 3 Season's Lawn & Landscape Inc.
February 5, 2019 3 Seasons Lawn & Landscape, Inc.
Truthfully, if you compare DIY work vs. a Lawn Care company, it makes a whole lot more sense to hire a professional to do it for you. Taking care of your lawn is a lot more than just mowing and watering. With different seasons bringing in different turf diseases, weeds popping up all over, and especially having bushes or trees in your yard, doing it yourself can be a bit challenging. Most people believe that it would be too expensive to hire someone, but with the knowledge and expertise the professionals have, it could also end up saving you money. Picture this: You look at your lawn and notice brown patches, so you do some research. This alone takes time. So, you go to the nearest home & garden store, purchase some weed-killer and lawn fertilizer. You take the time to apply it to your lawn, then more time to clean up. You wait a few days, but there’s no improvement. Back to researching. You followed the directions perfectly, so why did this not work? Well, there’s many different types of lawn diseases. What may work for one type, may not work for another. So, without having the proper knowledge to identify each disease, you waste your time and money trying different brands and types of lawn treatment. Now, imagine you had contacted a professional lawn care company first, like 3 Seasons Lawn, Landscape, & Pest Control. 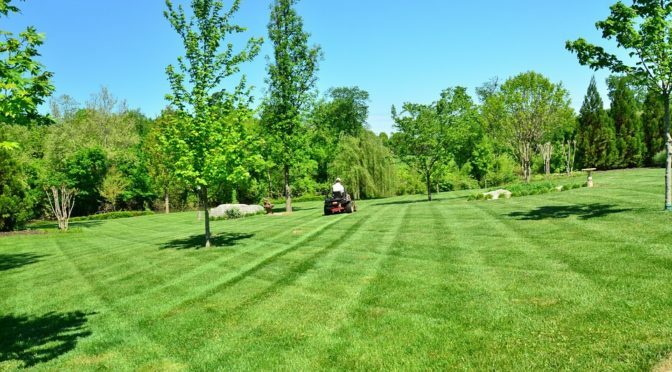 We would have come out, examined the lawn and identified the issues, then treated and cared for your lawn for probably less than what you spent on equipment and treatments. Now we’re saving you time and money. We would come out on a scheduled basis so that your lawn is never neglected. 3 Seasons pays attention to the detail and would leave your lawn in tip-top shape every time. Some people enjoy working on their own lawn though. And if that’s you, then keep up the good work! But if you’d rather save time, money, and stress, give 3 Seasons Lawn, Landscape, & Pest Control a call!